What many rookies to PPC and Google AdWords don’t understand is how vitally important each and every aspect of your ad is to getting conversions. Of course, people know that they need to include some enticing copy (which is an art in itself), but not many know about how landing page structures, relevance, click-through-rate (CTR) and more contribute to what Google calls your AdWords Quality Score. AdWords quality score is calculated for each keyword in your PPC campaign. At a basic level, it takes the relevance of your ad to the keyword being targeted, the CTR of your ad and the quality of the landing page that ad is attached to. This equation then provides a score out of 10. Getting a 10 is near impossible; one can always improve in the eyes of Google. 7’s and below are more common. This score, along with the amount you bid to rank for each keyword, is utilised to determine where your ads will be positioned in the SERPs. For more, visit Google’s quality score page. With the above information in mind, you can see why hiring a Google AdWords company can benefit your conversion rates. 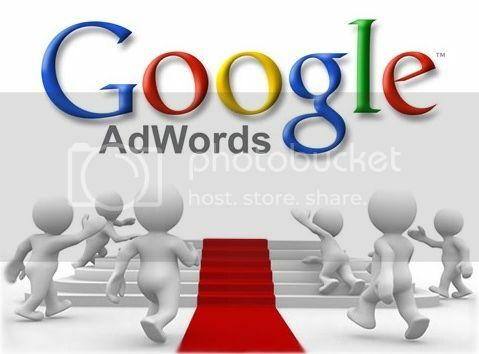 A Google AdWords certified company will know the tricks of the trade to generate a high quality score. They have hours of experience working on hundreds of campaigns, ensuring they know what works and what doesn’t. If you are running a small-time campaign for a few non-competitive keywords, you may find that you can handle everything fine. But what happens when you have 100’s of keywords and a budget that just seems to keep diminishing. Let’s go through the aspects that make up quality score again – relevance, CTR and landing page quality. Relevance of an ad to a keyword is easy enough to determine. If you are an electrician trying to rank for keywords around building and designing home, odds are you will be judged irrelevant. Yes, you relate to the building and design industry, but someone searching for this will most likely be looking for a builder. The electrician comes later. Relevancy ultimately comes down to common sense. CTR is where the inclusion of an experienced Google AdWords company comes to the fore. A good CTR is a direct correlation of enticing PPC ad copy. Whilst you may be able to put a few words together, odds are you haven’t done serious A and B testing on different combinations of unique selling points and deals in your industry. An experienced Google AdWords company has. They have the knowledge to ensure your CTR is strong. Landing Page optimisation includes web design, marketing savvy content and conversion expertise. In our findings, not many companies have this at their disposal. Landing page quality is the area that your Google AdWords company will assist you to succeed in PPC. Whilst you may be able to determine relevance yourself, maybe even fluke some high conversion rates, a strong landing page is often hard to come by. Add to this that Google is always changing how quality score and AdWords functions, and the decision is easy. Hiring a Google AdWords company could be the difference between number 1 and number 3. Or in terms that business owners understand better, the difference between 10 conversions or 3. Learn more about the author, give us a ring at 1300-76-00-84 and ask to speak directly to Jayson Rodda, today.